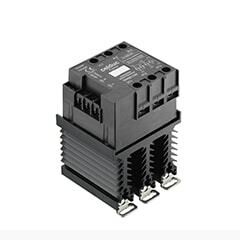 These relays are used to reverse the rotational direction of a motor and are interlocked to prevent simultaneous application of forward and reverse. 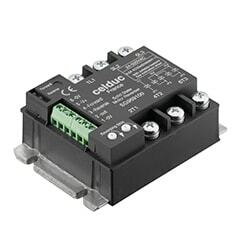 The SGRD reversing unit for DC motor control offers all the necessary built-in control protection including protection against wiring errors or short circuit on the input. 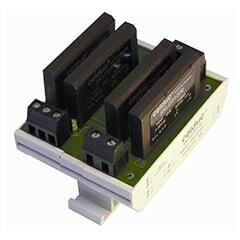 An interlock function prevents simultaneous application of forward and reverse directions. 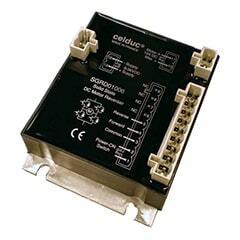 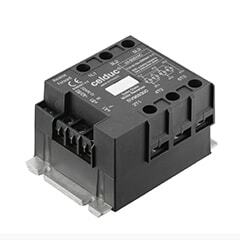 The XKRD30506 is a ready to use module comprising 4 solid state relay modules wired as a DC motor reverser in a convenient DIN rail mount package.